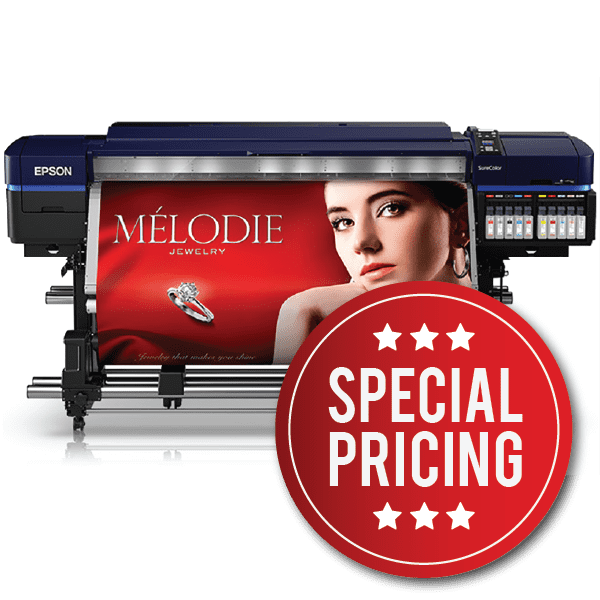 The Epson SureColor S80600 64-inch Production Edition Printer features newly-developed Epson UltraChrome® GS3 9-color solvent ink. Pricing includes Epson's $4,000 Instant Rebate off the regular price of $22,995. Good through April 30, 2019. The Epson SureColor S80600 64-inch Production Edition Printer features newly-developed Epson UltraChrome® GS3 9-color solvent ink – including an all-new Red solvent along with the option for white or metallic silver inks – for outstanding photographic print quality, durability, and media compatibility. 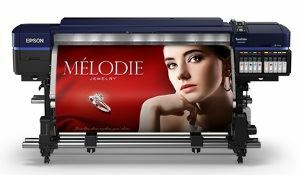 When combined with an all-new precision media feeding system and a high-performance Dual-Array PrecisionCore® TFP print head, the SureColor S80600 is one of the most productive and photographic sign printers available. Last year, printer maven Michael Clementi discussed the things he learned while working with the EPSON S-Series printers since their release; however, one question is still commonly asked: "Which one is right for me?" The answer depends upon what you want to get out of your printer, so we've put together a quick summary of how each of these printers fit into a typical workflow. Input Roll Diameter Up to 9.8"